It is best to have students with limited language skills focus on writing about things that they are familiar with. 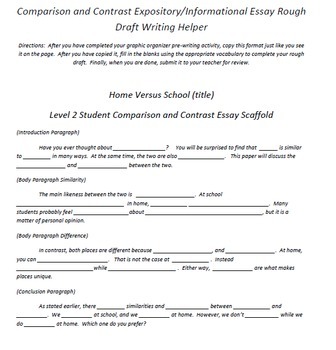 This is an essay scaffold for writing about school versus home. 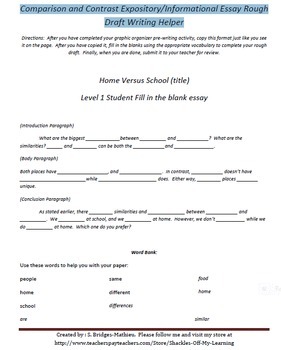 There are two fill in the blank essays in this pack. One is for the child with very limited vocabulary and organization, and one is for the child with a little more vocabulary and organizational skills. 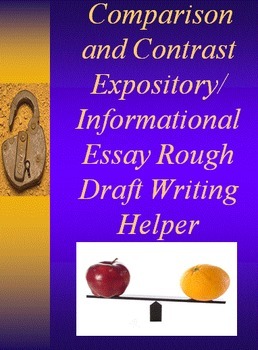 It is best to use this with struggling writers. Please rate and subscribe, so that I will be motivated to keep the lessons coming. Have a great day!